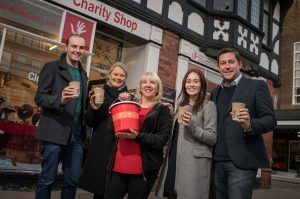 The SHARE charity Shop, on Northgate Street in Chester, has painted a huge set of angel wings on its café window as part of their #RealAngel awareness campaign. 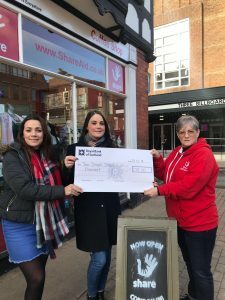 SHARE is hoping to raise enough money to buy a house in the city that will be used to help homeless people get back on their feet. 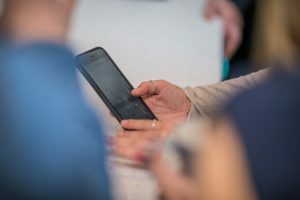 The charity plans to raise at least of £100,000 to buy the house they need to offer assistance to people looking to get off the streets. 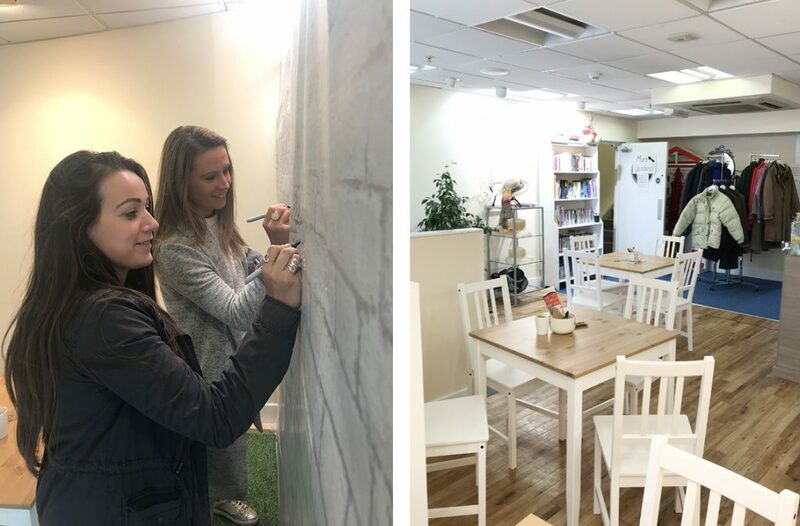 Customers of the shop and café are being urged to “buy a brick” before taking a picture of themselves next to the outstretched wings, to show their support for the campaign. SHARE was established in 2015 when Entyce was quick to get involved to support a local cause by donating a logo for the charity. Adam Dandy, co-founder of SHARE is also the owner of the famous family run Chester business, Dandy’s Topsoil, and as we created the branding for Dandy’s Topsoil many years ago Adam was keen for us to help again in creating the identity for his new venture, SHARE. Adam Dandy, said: “We thought painting the wings on the window would make a fun place for people to take selfies, but we’d no idea it would become so popular. 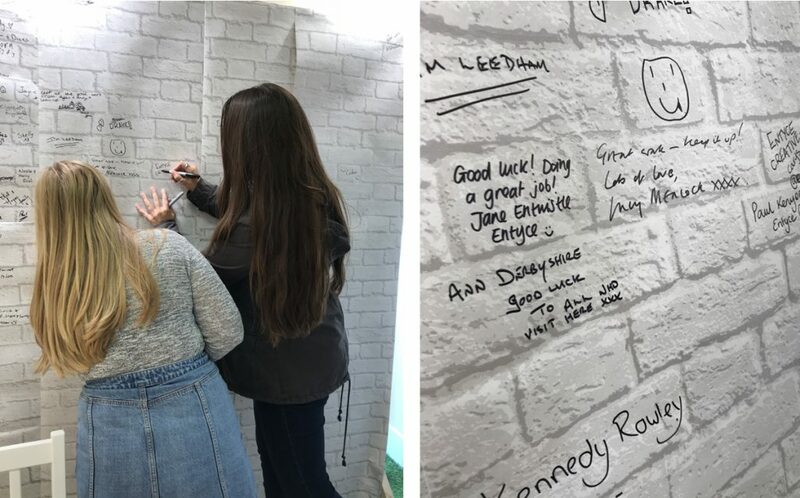 “At the Share Shop we’re asking people to ‘buy a brick’ for just £1 each, leave a message on our special brick-wallpaper which will be used to decorate the new house, then take a picture of themselves with the wings and share it on social media with the hashtag #RealAngel.